Ghorakhal Is A Small Place, Which Is Famous For The Temple Of Lord Golu Worshipped By Hill People Perched At An Altitude Of 2000 Meters Above The Sea Level. Ghorakhal Falls Under Nainital District Of Uttarakhand, Approximately 15 Km away From Nainital The Sarovar Nagri and At A Distance Of 3 Kms from Bhowali. Ghorakhal Literally Means ‘a Pond For Water To Horses’. Ghorakhal Is A Picturesque Site, With Natural Serenity And Placidity. 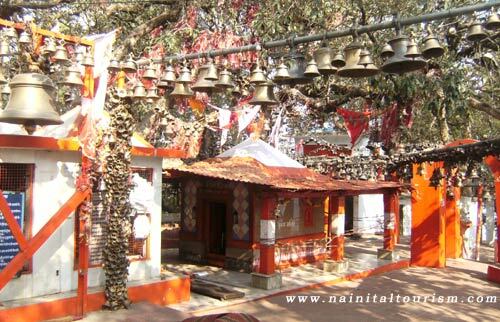 One Of The Famous Attractions In Ghorakhal Is Golu Devta Temple, Always In News For The Unique Rituals Performed Here. One Such Ritual Is That Devotees Make Petitions At The Ghorakhal Temple, Using Stamp Papers, To Seek Desired Decree In Litigations. On Accomplishment Of Their Wish, The Deity Is Shown Gratitude By Hanging Bells Or Making Animal Sacrifice. 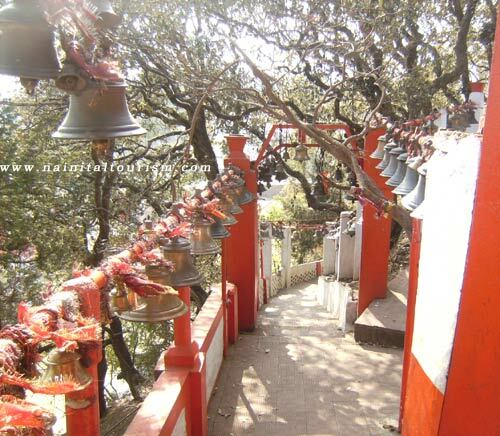 The Ghorakhal Temple Is Characterized By The Large Number Of Bells Hanging In The Premises. These Bells Are Hung By The Devotees As Offerings Making A Wish Or In Thanksgiving On The Fulfillment Of One’s Wish. Sacrifices Of Goats Are Offered To The Deity Which Was, At One Time, A Sort-of Law Court, That Decided Several Pleas Received From The Distressed People Of The Region. People From All Over The Region Consider Golu Devta, The Presiding Deity Of The Temple, To Be An Incarnation Of Lord Shiva And ‘The God Of Justice’. Ghorakhal At A Distance Of 3 Km From Bhowali. Ghorakhal At A Distance Of 15 Kms From Nainital. You Can Visit Ghorakhal By Taxi Or By Tours & Travel Packages.